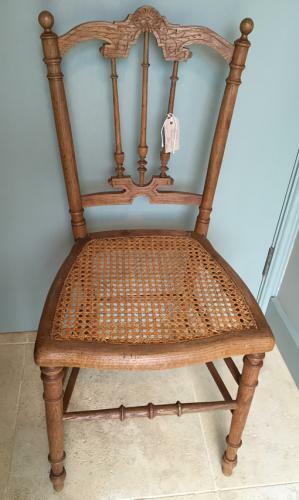 Pretty Spindle Bedroom Chair in natural wood with good original caned seat. Pretty back rail with delicate spindle decoration. Ideal in a bedroom or bathroom to hang clothes or just look good!